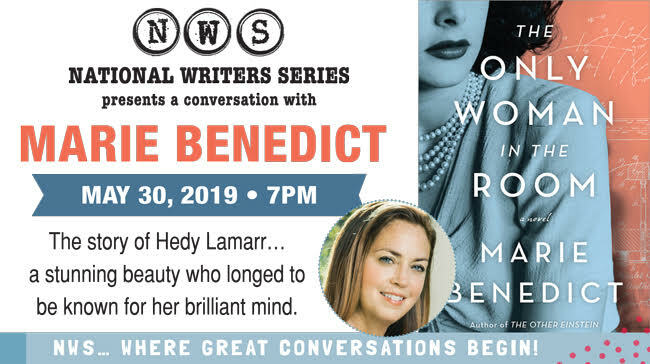 Author Marie Benedict breathes new life into the astounding story of Hedy Lamarr in her new novel The Only Woman in the World. One of the most glamorous actresses of the 1940s; the legendary Hollywood star also co-invented the precursor to GPS, WiFi, and Bluetooth. A USA National Bestseller, Benedict unearths the hidden historical stories of women. Doors open at 6pm with cash bar, music and Morsels. This event was made possible by Event Sponsor: Hotel Indigo; Season Sponsor: Boomerang Catapult; Sustaining Sponsor: Cordia; Grantors: Michigan Council for Arts and Cultural Affairs, National Endowment for the Arts; Media Sponsors: UpNorth Media, Midwest Broadcasting Co., Traverse City Record-Eagle, Northern Express, Interlochen Public Radio, WNMC.